Unless you’re watching a scary movie marathon of Jaws, Piranha and Creature from the Black Lagoon, aquatic life is not the first thing that comes to mind on Halloween. But the New England Aquarium has found a way to change that, adding a pair of pumpkins to the Giant Ocean Tank for the Halloweekend. 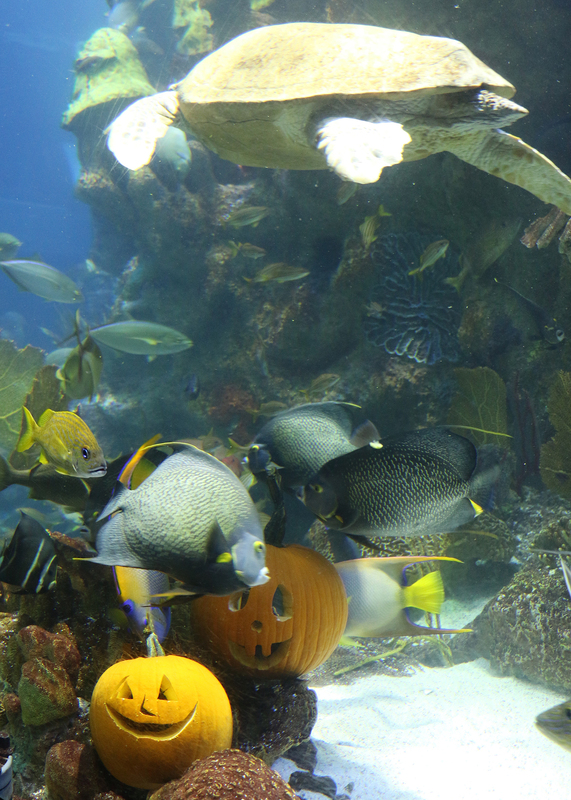 According to Aquarium spokeswoman Diana McCloy, the pumpkins will be in the tank today and tomorrow, and the fish have been feeding on them heartily. Guess it’s not just humans that become pumpkin-obsessed every fall.